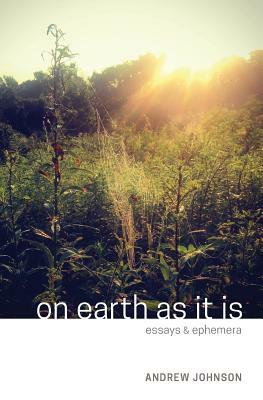 In this new collection of essays, Andrew Johnson brings together new essays as well as work previously published in journals such as Crazyhorse, Guernica Daily, Sonora Review, and more. Through his lyrical prose, he explores a variety of subjects such as childhood, encounters with strangers, found objects, nature, and the big questions that can arise from the mundane tasks of daily life. These essays are all grounded in curiosity over certainty and hope over despair.